Construction technologies are advancing extremely quickly. Couple that with multi-billionnaires / deep-pocketed companies trying to outdo each other in the quest for the next standout design and you have a near-future filled with mile-high skyscrapers and buildings that no longer look like buildings. 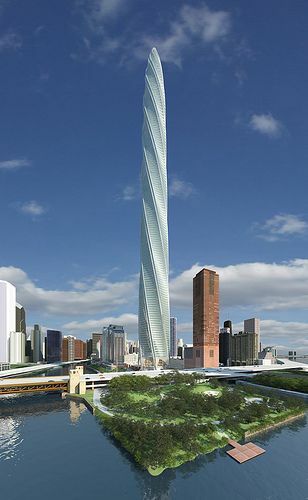 From a distance this skyscraper, to be completed in 2009 in chicago, will seem quite traditional. it?ll only be when you get close and look up that you can appreciate the ripple/jelly effect created by variously sized balconies from top to bottom. 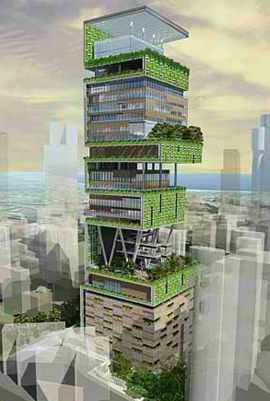 Construction has begun on residence antilia despite opposition from those who see it as an ?excessive? 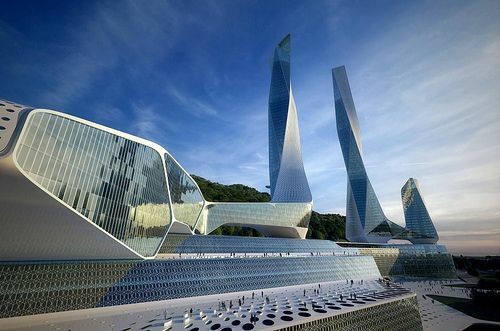 design in a city where more than 65% of the population live in slums. politics aside and after you recover from the initial shock of seeing a skyscraper that resembles an ikea cd rack, the building actually looks like it may succeed as a stunning, unique, green piece of architecture. 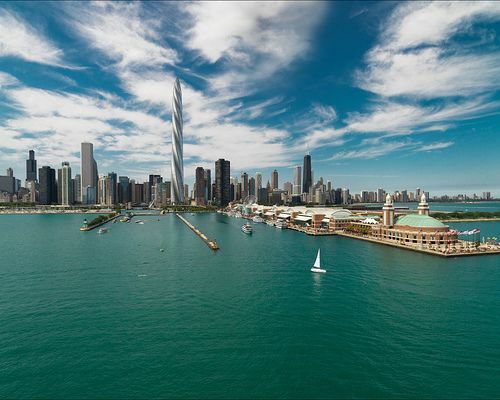 The phenomenal chicago spire, when completed in 2010, will be the world?s tallest residential building and the tallest building of any kind in the western world. 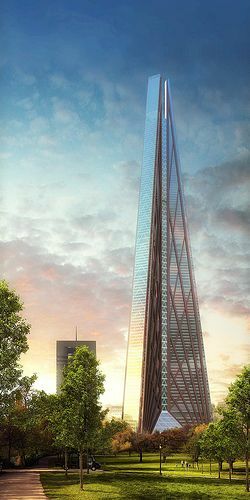 seemingly modelled on the image of a giant drill poking through the ground, the 609m structure will dominate the chicago skyline. 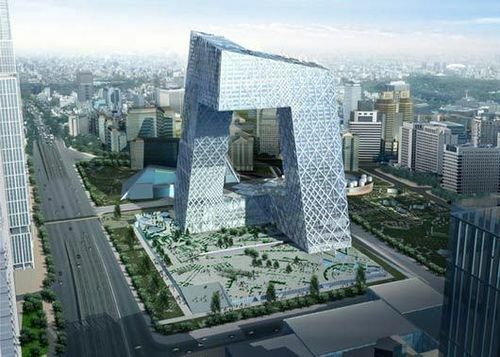 At a modest 234m the cctv building isn?t going to stand out from a distance. 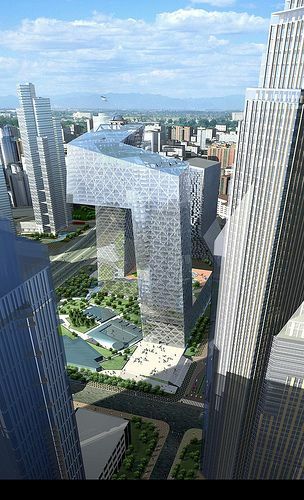 however the design and shape is a crowdstopper to say the least and will be another incredible addition to beijing?s skyline in time for the 2008 olympics. the shape, described as a ?z criss-cross? results in a very high, seemingly unsupported corner at the front. let?s hope there?s a glass floor up there. 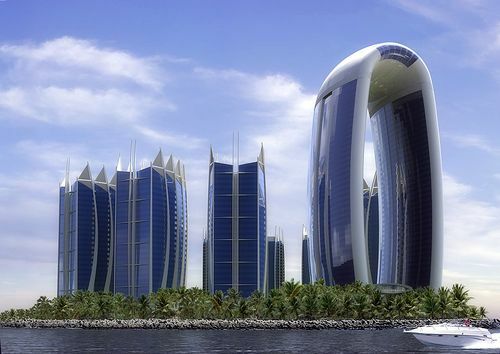 Taking on a nautical theme, the developers say the 10 smaller towers represent sailing boats whilst the larger building is ?the lighthouse?. it?s the lighthouse that steals the show for me, possibly the most incredible looking structure i?ve seen for a long time. if it ends up looking anything close to these pictures i?ll be impressed. 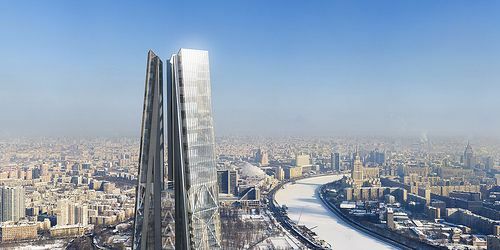 Topped with an observation deck over the city of moscow, russia tower will become the tallest building in europe when completed in 2012 and twice the height of the eiffel tower. 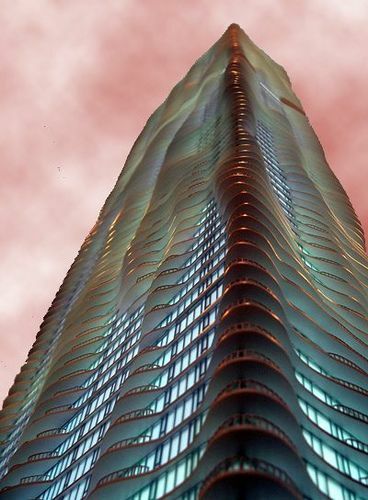 construction has already started on this angular beast which was designed by foster & partners, also responsible for the gherkin and spaceport america, currently in development. 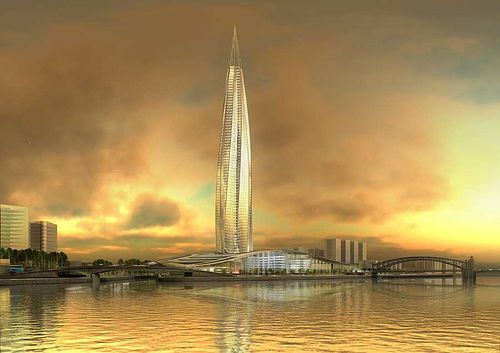 This gigantic, 300m tall glass flame of a building will house the gazprom headquarters in st. petersburg, dwarfing all structures in its vicinity. 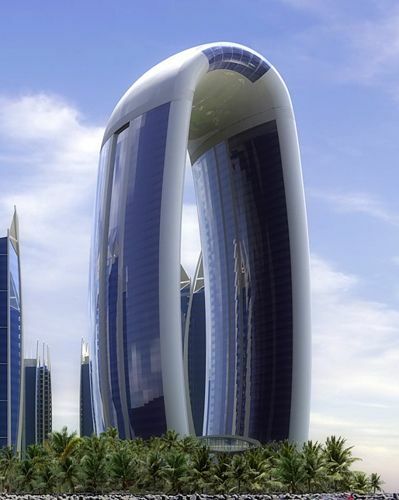 it will apparently change colour up to 10 times per day depending on the position of the sun. 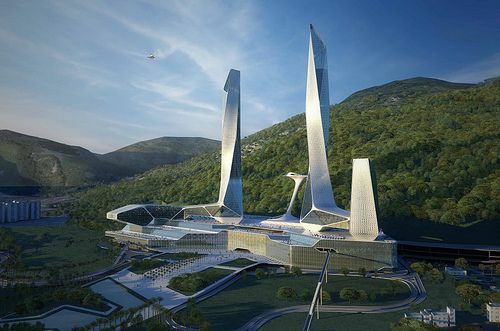 the building has already been nicknamed ?corn on the cob? by unhappy locals. This is the big one. 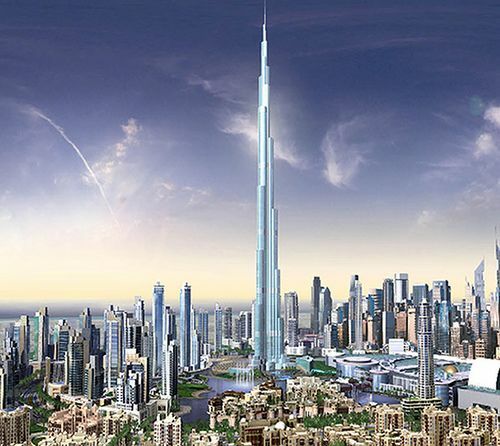 when completed next year it will be the tallest man-made structure in the world and the tallest building by a long shot with a predicted height of 818m. note: currently the tallest building on earth, excluding an antenna, is taipei 101 in taiwan which stands at 509m. 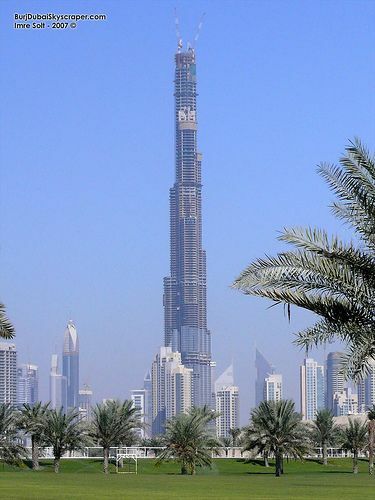 the photo below is the building?s current state: the skyscrapers below the burj dubai used to look tall.